The computer technician who worked on Hillary Clinton’s email server appears to have asked for advice on how to “strip out” a “VIP’s” email address during a crucial period in the Clinton email timeline. 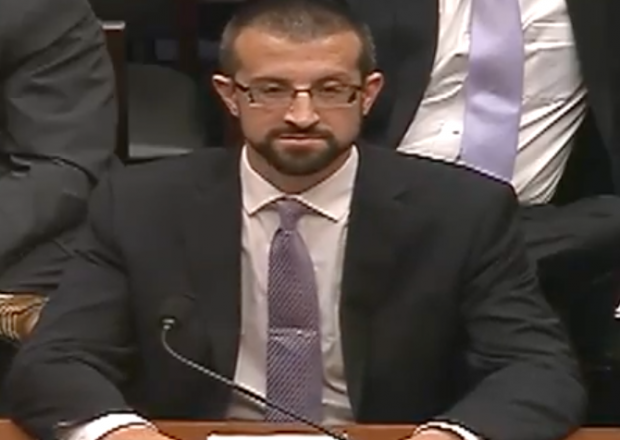 The advice was sought in a July 24, 2014 entry on the website Reddit from a user with the handle “stonetear.” The Daily Caller has confirmed that Paul Combetta, the Platte River Networks technician who worked on Clinton’s server, uses an email address with the same handle. The FBI discovered during its investigation of Clinton’s email practices that Combetta used a software program called BleachBit to delete backups of Clinton’s emails in March 2015, just weeks after Clinton’s email operation was exposed and after Congress had subpoenaed all of her records. He was also granted immunity from the Justice Department despite lying to FBI investigators about using the BleachBit program. “The issue is that these emails involve the private email address of someone you’d recognize, and we’re trying to replace it with a placeholder address as to not expose it,” the user wrote later in the thread. An email sent to Combetta seeking confirmation that he was the user was not returned. But other posts on Reddit by “stonetear” strongly suggest that he is. Some posts archived by Internet sleuths show that “stonetear” made references to Rhode Island, where public records show Combetta lives. The date of the Reddit entry coincides with the time period after the State Department asked Clinton’s attorneys to start the process of handing over Clinton’s work-related emails. Cheryl Mills, Clinton’s lawyer and former chief of staff, was in touch with State Department officials in July 2014 regarding the hand-over, other emails have showed. The FBI’s report on its Clinton investigation — which has Combetta’s name redacted — shows that Mills asked Combetta that same month to export all of Clinton’s emails from PRN’s servers. He then used a program called ScreenConnect to remotely transfer the emails — which included troves of classified information — to Mill’s laptop and one for Heather Samuelson, a longtime Clinton aide and attorney who was in charge of reviewing Clinton’s work-related emails before giving them to the State Department in December 2014. Though Clinton has claimed that the 55,000 pages of emails she gave the State Department that month were all of her work-related emails, the FBI has found “several thousand” Clinton work emails that were likely deleted at some point. Combetta’s involvement in the scandal was revealed in a New York Times article published shortly after the FBI released its report on the email investigation, which ended with no charges being filed against Clinton, Combetta, or anyone else. The Times also reported that the Justice Department granted Combetta immunity in order to cooperate with its investigation. The computer tech had a chance to clear up questions about his involvement in the fiasco during a House Oversight hearing last week, but he invoked his Fifth Amendment right against self-incrimination. The FBI’s report states that Combetta’s attorney instructed him to not answer investigators’ questions about what he discussed on that conference call. Those aren’t the only suspicious revelations about Combetta’s work on Clinton’s behalf. His name surfaced on other documents important to the Clinton email timeline. As The Daily Caller has reported, the technician’s name appears on a PRN invoice submitted last September to Clinton’s accountant, Marcum LLC. The invoice shows that PRN billed Clinton for Combetta’s travel and for “federal interviews” that the technician appears to have attended. It is still unclear if Clinton’s accountant paid the invoice. But his appearance on the document suggests possible coordination between PRN and Clinton. Update: A New York Post article published on Sunday includes more evidence that Combetta was the Reddit user seeking tech advice. In an email to colleagues sent last year, Combetta referred to his “cleanup” of the “to/from” fields on Clinton’s emails. “I’ve done quite a bit already in the last few months related to this. Her team had me do a bunch of exports and email filters and cleanup to provide a PST [personal storage file] of all of HRC’s emails to/from any .gov addresses,” Combetta wrote.